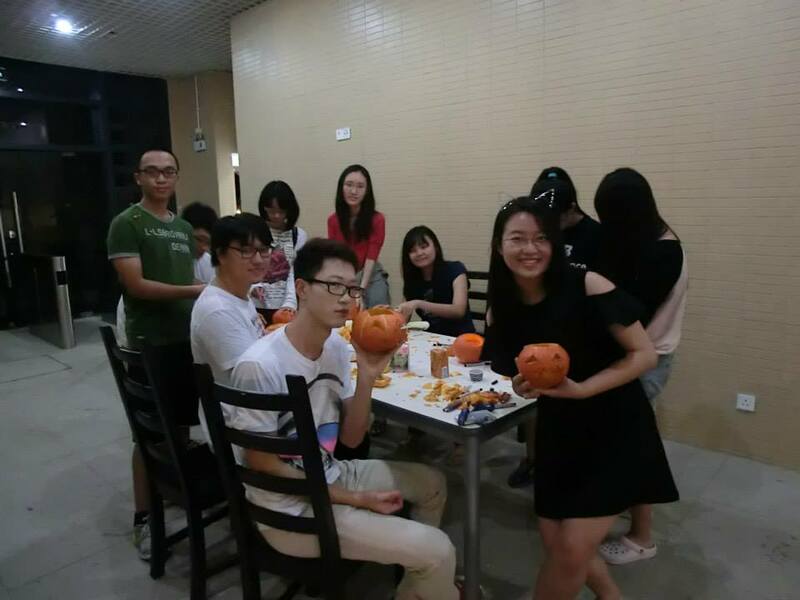 Come take a photo with your Jack-o-lanterns! 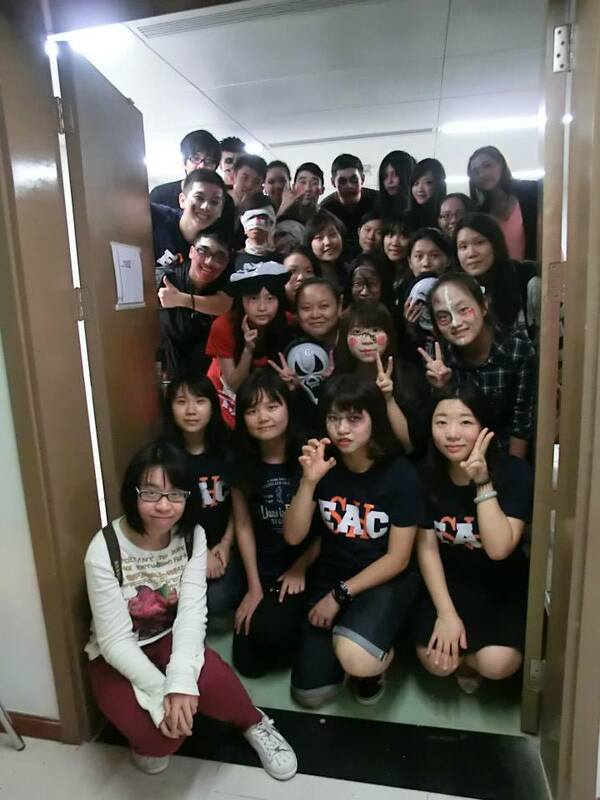 SHEAC House Association successfully held a Halloween Party on Thursday 30th October. 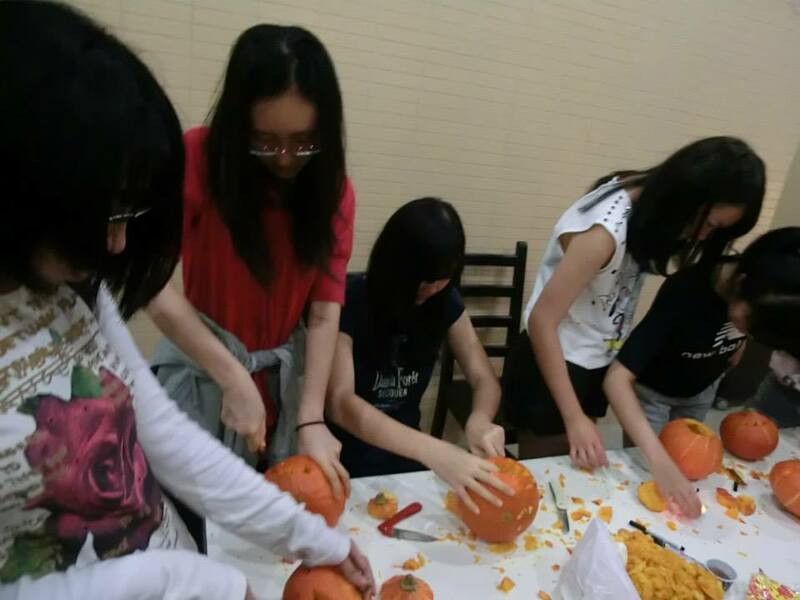 SHEACers tasted hand-made desserts “Soft Heart”, carved cute Jack-o-lanterns, watched thrilling horror movie One Missed Call. Every participant enjoyed this feast, using different senses of their body. 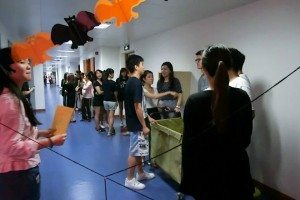 The 1st floor was transformed into a haunted maze. Ghosts appeared everywhere, attracting crowds of adventurers. In a dark house with spider webs here and there, adventurers just lost their way. 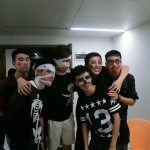 Only screams could be heard, and sometimes there was even cry. 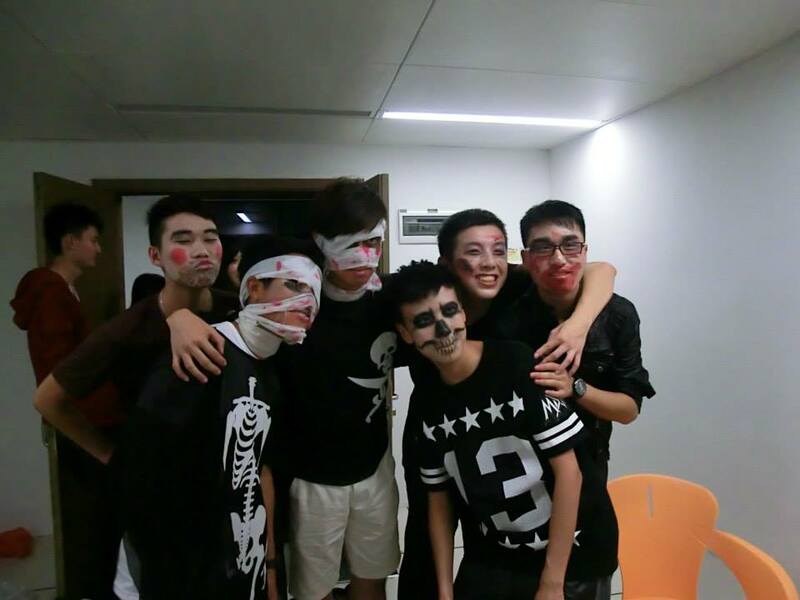 Although scare was never in short, students enjoyed themselves. 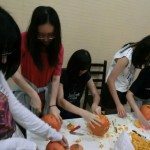 SHEACers devoted themselves to feeling the fascination of Halloween, learning the culture of Halloween, and enjoying different sorts of fun games! 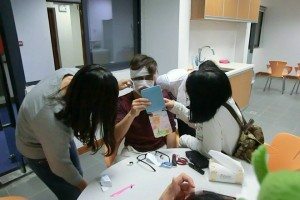 Make-up and dress to impress before the party starts!